New York[RR]Barcelona–Barcelona superstar Lionel Messi has reportedly blamed Manchester United’s interest in defender Samuel Umtiti for his side’s Champions League exit to Roma. 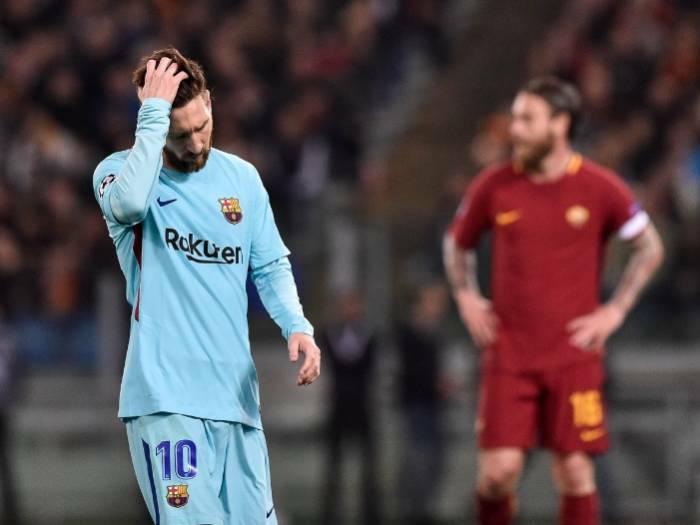 Barca were eliminated from the competition on Tuesday after falling 3-0 to Roma. Roma went into the match needing a miracle, but goals from Edin Dzeko, Daniele de Rossi and Kostas Manolas made it a night to remember. And Spanish website Diario Gol reports that the 30-year-old was livid at Umtiti at half-time for losing concentration due to United’s interest in him. Umtiti wants Barcelona to significantly increase his pay at the end of the season in order to prevent a move to Manchester United. Diario Gol say Messi was fuming at the player at the interval and believed his mind was not on the Roma match. He berated Umtiti for “lacking focus” on the biggest night of their season. Umtiti, however, was not the only player said to had incured Messi’s wrath.